As an occasional day walker my trips into the Peak District don’t tend to extend beyond Bakewell due to constraints of time. While there are countless wonderful day walks to be had in the White Peak I have recently been pining for the striking landscapes of the Dark Peak further north where the edges become rougher and everything is turned up a notch. My original plan was to start from Eyam, traverse Froggatt Edge, pass by the Chatsworth estate down to Bakewell before heading down the dales of Lathkill, Wolfcote and Dove, ending at Ilam on the third day. A lack of accommodation in Bakewell (of all places) put paid to that idea. Another plan involved the rugged delights of Snake Pass and Ladybower but the options for stopping over were even worse. Eventually I threw away the notion of a linear walk and booked YHA accommodation in Castleton and Edale from where circular day walks could give the fix I was after. Now why was that so hard? Youth Hostels have changed. Gone are the days where you have to contribute to communal cooking and washing up. The facilities have improved and there is a wider appeal, which is a good or bad thing depending on your outlook. 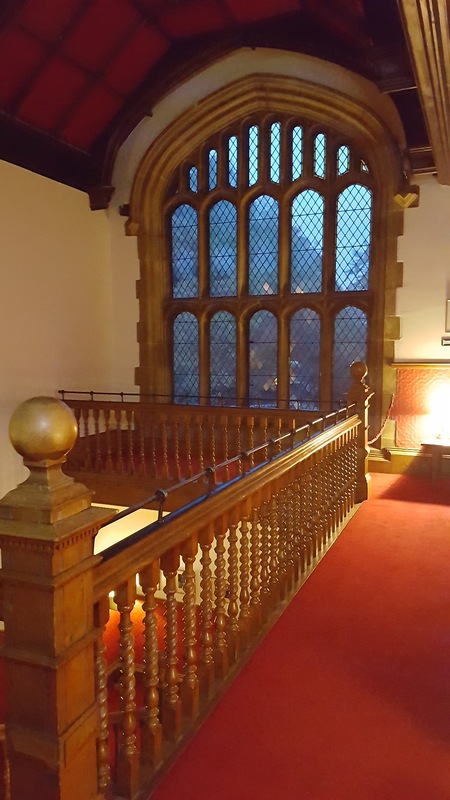 Castleton YHA has a baronial feel about it. 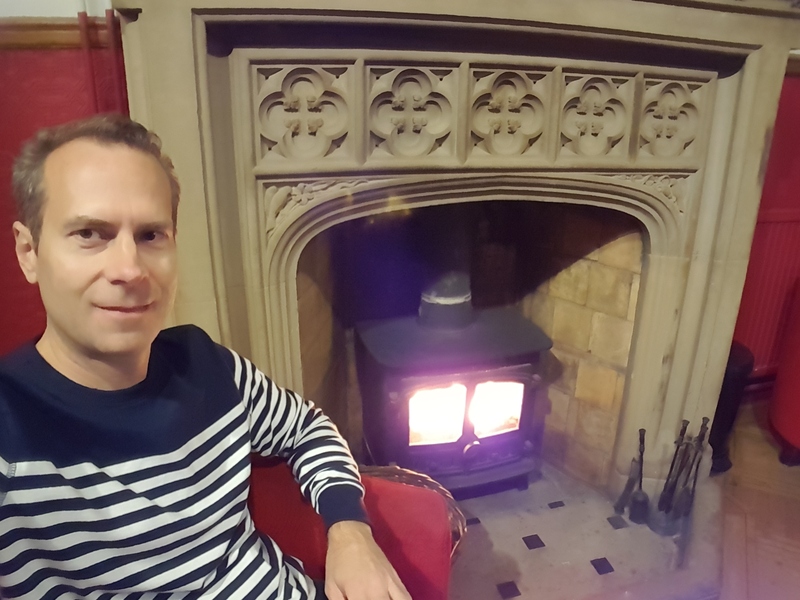 With the first chills of winter on the way I’m grateful for the open fires that dot grand stone fire places of this old country manor. I’m less grateful for the screaming groups of school kids who are running amok in what must feel like a scaled down version of Hogwarts. If I was them I would be just as excited. Saturday morning is purpose made for walking. 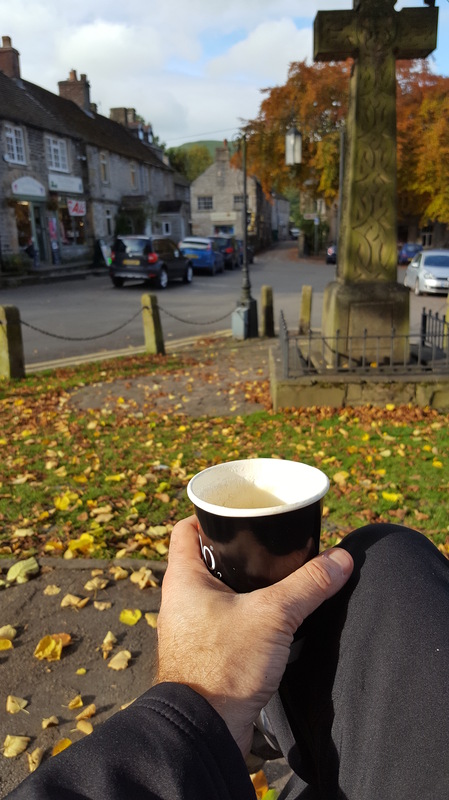 Breakfast is coffee and a bite on the green watching folk come and go beneath the Celtic cross, before frittering half an hour chatting with the encyclopaedic proprietor of an outdoor shop on the subject of boot makers of the Dolomites. The topography of today’s route is guaranteed to provide some dramatic sights – weather permitting. Before long the tarmac runs out and those views begin to reveal themselves. If half of the visitors to Castleton are here to walk, cycle or hang glide then the other half have come to see the caves the town is famous for. I pass Peak Cavern and then Speedwell Cavern at the head of Winnats Pass. The path ascends steeply to Treak Cliff Cavern where new seams of Blue John have recently been uncovered decades after the last major find. The landscape is really starting to open up and the sun finally makes an appearance as I ascend to the mouth of Blue John Cavern, which seems to be attracting cave enthusiasts by the bus load. The foot of Mam Tor provides richly rewarding views north over the valley to Barber Booth. I wait awhile to absorb the rather unexpected scale and colour of this scene, plus the unexpected warmth of the winter sun. Then it’s a long gradual climb uphill for myself and the 100 other day walkers. This section of path is attractively paved. It is hard to imagine the effort required to build and maintain a path like this, let alone one at a higher altitude beyond the range of any vehicle. The ridge path towards Hollins Cross is a dream to walk, serving up outstanding views for minimal effort. The cross in question was removed a little over a hundred years ago and apparently, in even earlier times, the route was used to transport coffins from Edale over to Hope. I overhear a group making call to the emergency services about an injured party member. Various parties are engaged with Duke of Edinburgh awards activities so perhaps this is an exercise? Fifteen minutes later the thumping rotors of an air ambulance suggest otherwise. If I had ever followed up on my passing interest in Geology I might be able to explain the forces of nature that formed Back Tor. It certainly provides a great photo opportunity and a Japanese group are taking full advantage. Castleton has an international appeal I hadn’t expected with Americans, Russians and Italians amongst the other groups up here today. I have really enjoyed this walk. This straightforward Peak District route has served a up rich variety of sights and points of interest. It has also been great to see such a diverse spectrum of people out on the hills. Navigation has been a no-brainer and the weather has been kind. My march back down into Castleton is well timed as a heavy dark cloud threatens to put a dampener on things. Not that weather is going to stop many people from getting out and enjoying themselves. 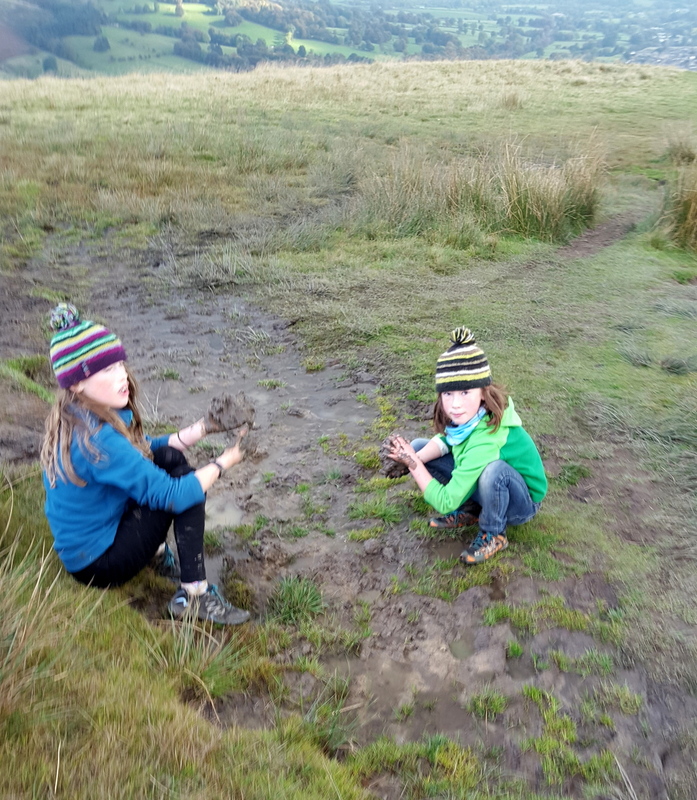 After all, if you are going to make the effort of visiting the Dark Peak you aren’t going to be put off by the elements.